[pullquote width=”300″ float=”right”]The contrasts have made the celebrations all the sweeter. [/pullquote]This year more than any other that I can remember, I have lived this song. Two of my aunts have died. It’s been the year of the babies, as I have a new grandson, new grand-nephew, and several new grandbabies for friends. In July, we attended my nephew’s wedding; my husband got a new job; we found a new church. There’s also a great deal of sadness as our family deals with all types of health issues. Throughout the year I have laughed so hard until tears have come down from my eyes, and wept with the same results. The contrasts have made the celebrations all the sweeter. Isn’t it nice how God counters the sadness with joy? 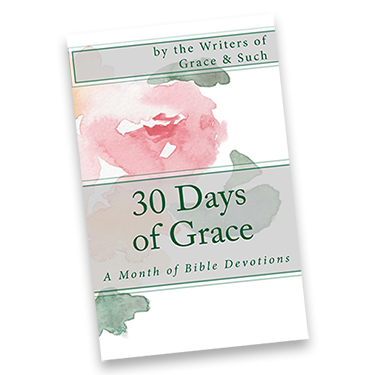 As I write this, it is the beginning of Lent, a time of reflection and repentance. The people of God take this time to prepare for Easter, but before we can experience Easter we must go through Good Friday. Easter is everything in our faith. Good Friday is devastating … and necessary. This gives a brief picture of what happened on the day that Jesus was crucified. Horrible, horrible day. And he went through all of this for our benefit, for our freedom, for our new relationship with God. But it wasn’t the end of the story. God had much more in store. Many people were given the opportunity to rejoice when they saw the One who died, now alive, walking and eating with them. What joy this blest assurance gives! [i] Song written by Pete Seeger. What a beautiful picture of the sorrow to celebration we have because of Jesus. I often wonder how our celebrating will change in Heaven, since it will be daily. I guess, like so many other questions I have, it’ll be answered soon enough–and by then, I’ll probably be so busy worshipping that I’ll forget I ever had these questions. I think that way. I’ll have questions when I reach heaven, but once there, I have a feeling I won’t care anymore! 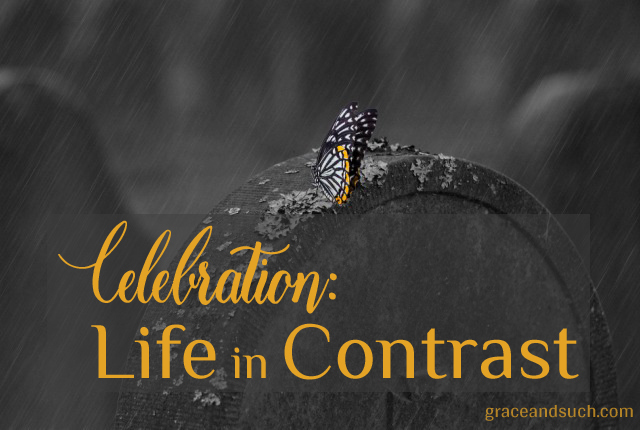 “The contrasts have made the celebrations all the sweeter.” I had that exact thought as I was contemplating this month’s theme. Like you said, we have to go through Good Friday to get to Celebration Sunday! As always, I enjoy your thoughtful posts. Thanks, Jennifer. It means a lot to me! “…will move into the reality of His kingdom. Then and only then, will we live in continual celebration. Because He says there will no longer be tears or sorrow, but He will make everything new.” The whole post was such a beautiful picture of life in Christ. Such a sweet, thoughtful, peaceful reading. Thank you, my friend, for again calming my spirit and reminding me to just sit at his feet. I look forward to the continual peace we will have been promised, although I wonder if He wants us to have that now, continuously. It’s always a challenge. Seasons and Contrasts. Some I appreciate a lot better than others. I’m realizing they are all.part of the rhythm of the journey, which…if we let it, can be a symphony to His glory. Amen! The discordant notes have beauty also. First, thank you for the hymns, they remind me of sitting in church next to my Grandmother and Great-Grandmother (who couldn’t carry a tune but belted it out anyway). Always felt so loved and secure sitting in that church pew. And for the reminder that Easter Sunday will always come, maybe not in our desired timing, yet it will come. Were you Lutheran, too? My husband always calls the Lutheran hymns dirges, and perhaps they are, but they hold a place in my heart. Much like how they bring up fond memories for you.